BOCAUE, BULACAN – This PBA Governors Cup finals keeps breaking one record after the other. 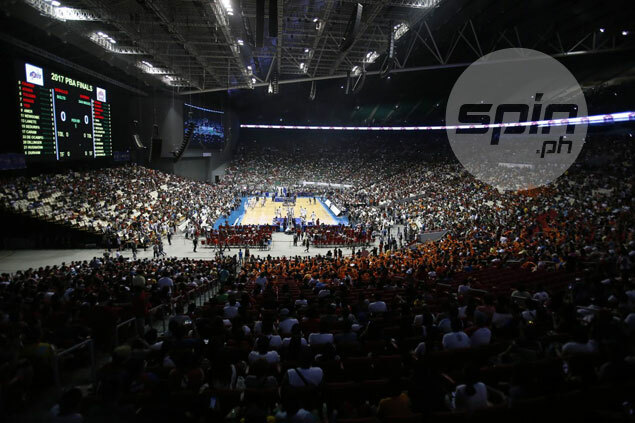 Just three days after setting the biggest finals attendance in league history, Ginebra and Meralco set a new all-time record by luring 53,642 fans to watch Game Six of their PBA Governors Cup Finals at the Philippine Arena here on Wednesday night. The attendance broke the previous high of 52,612 set when the league opened its 2014 season with a game that pitted Ginebra and TNT. Game 5 of the title series won by the Kings, 85-74, saw a crowd of 36,445, surpassing the old record of 23,436 made during Game Three of the 2013 Commissioner’s Cup between Ginebra and Alaska. That the record was achieved on a week day made this one more impressive. “Considering na Wednesday ngayon at may pasok (both schools and offices), magandang record talaga ito,” said external communications director Willie Marcial.